Thinking about volunteering this Spring? Why not join our team at Nottingham Industrial Museum? You’ll get to work at a site full of history, and you’ll be making a real difference to our visitors. … and many other skills. Get in touch via the Get Involved tab or email help@nottinghamindustrialmuseum.co.uk for more details. 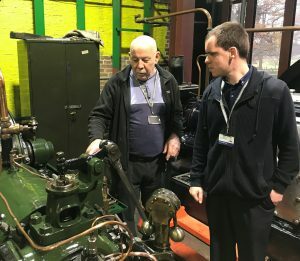 At Nottingham Industrial Museum you can develop your skills, make new friends and be part of an amazing, dedicated team of volunteers. Plus there’s always a supply of tea and coffee.